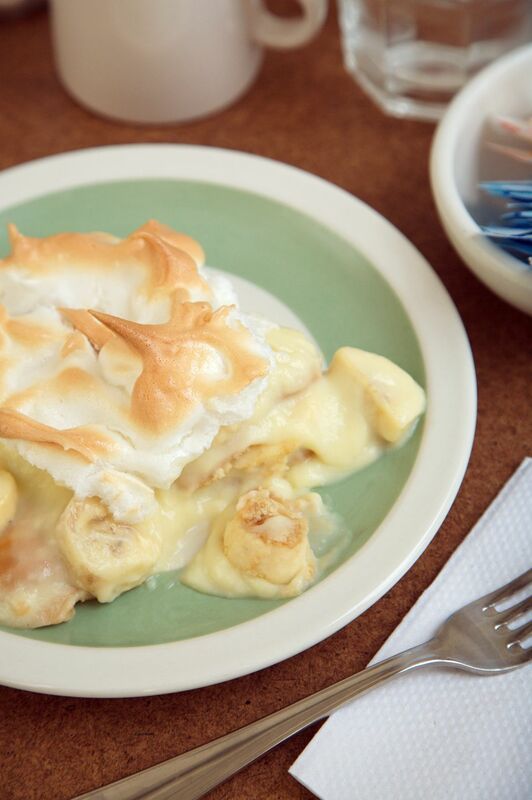 Banana pudding has long been a Southern favorite. This is a classic, old-fashioned banana pudding finished with a sweetened meringue topping. If desired, omit the meringue topping (and the baking step) and top servings with whipped cream or whipped topping. Combine 3/4 cup granulated sugar, the salt, and the self-rising flour in the top pan of a double boiler. Slowly stir in the milk. Put the pan over simmering water and cook, stirring, until mixture begins to thicken. Beat egg yolks then briskly stir a small amount of the hot mixture (about 1/2 cup) into them. Add egg yolk mixture back into the hot mixture in top of double boiler and stir in butter and vanilla. Cook until mixture thickens again. Place a layer of vanilla wafers in an 11x7-inch baking dish (or other shape 2-quart shallow baking dish). Add a layer of sliced bananas. Continue layering until all cookies and banana slices are used. Pour pudding mixture over top. In a mixing bowl beat egg whites until foamy; gradually beat in 1/4 cup granulated sugar and cream of tartar. Beat until stiff peaks form. Spread the meringue over pudding, spreading all the way to the edges of the baking pan. Bake in the preheated oven until nicely browned.